Anchovies. You either love 'em, or you hate 'em, right? WRONG. In my experience, everybody loves anchovies—it's just that some people don't know they do. Talk to almost any chef or experienced home cook, and they'll tell you that anchovies are one of the industry's favorite not-so-secret secret weapons. Because they're a concentrated source of glutamic and inosinic acid—two molecules responsible for triggering our sensation of savoriness—they're irreplaceable for adding depth of flavor and a meaty backbone to, well, pretty much anything. Think you're an exception to the rule? So do the long string of dinner guests to whom I've surreptitiously fed anchovies in various sauces, soups, salads, and stews. Before we go any further, let's get a few things straight. All anchovies are not created equal. Fresh out of the water, anchovy is actually a relatively mild fish—light, plump, briny, and pretty universally inoffensive. You can also get your hands on salt-packed varieties, which are minimally processed before packing—they've still got their bones and fins intact, which means that for most preparations, they need to be filleted and soaked in water or milk prior to use. 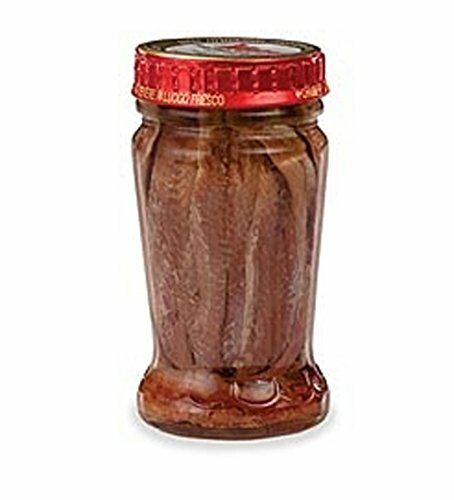 They also come in paste form, but we vastly prefer salt- or oil-packed anchovies to anchovy paste. And then there are the anchovies you're probably most familiar with, the ones that come in jars or cans and turn up in pizzas, pastas, sandwiches, and, um, my stomach. Those are the anchovies we're talking about today—the kind that have been filleted, salt-cured, and stored in olive oil. It's that curing process that produces the intensely salty flavor and pungent, fishy odor commonly associated with anchovies. It's also what's responsible for breaking down the myosin in the fish—one of the muscle proteins that hold its flesh together—making it exceedingly easy to mash up and dissolve. Some of us love that bold flavor and readily eat anchovies whole (cough, me); others shy away from it and only pop that lid when a recipe tells them to. * But regardless of which type of anchovy person you are, chances are you've experienced that moment of grocery store paralysis, staring down those colorful battalions of tiny filleted fish. Jar or can, cheap or expensive—which is the best and, more importantly, does it always matter? We decided to find out. *If you're someone who cuts them out of recipes altogether...we're done here. We sampled eight common brands, several of which are available in both canned and jarred packages. We opted to test both types of packaging, landing us at a grand total of eleven different samples. Each contains just three ingredients: anchovies, salt, and olive oil. They say you shouldn't cook with a bottle of wine that you wouldn't drink (we'll grapple with the veracity of that statement some other time); we wondered if the same concept would apply to anchovies. To make our evaluation as thorough as possible, we had tasters try each package in three different iterations: plain, in a Caesar salad dressing, and in a puttanesca sauce. All ingredients were weighed out and prepared identically across all samples, with no variable in play aside from the anchovies themselves. Tasters were asked to evaluate the overall quality of the two preparations on a scale of one to ten. For the whole, plain anchovies, we asked for scores along three different axes—overall quality, saltiness, and texture (more on this below). Crackers and water were provided to help combat palate fatigue. Nonetheless—and I say this as an anchovy enthusiast—this was easily the most challenging taste test we've attempted in my tenure at Serious Eats. In that spirit, I would like to pause here and ask that you join me in a moment of silence in honor of the intrepid and loyal tasting troops who sacrificed their palates in service of the greater good. Because yes, for those of you doing the math, that's 33 samples and 55 ratings. One thing that rapidly became clear is that our tasters had some vastly different feelings about anchovies. The good news? If you're going to use anchovies for cooking, it doesn't matter what brand you use—our tasters couldn't distinguish between the puttanesca sauces or the Caesar dressings from sample to sample. Never, ever planning to eat an anchovy in any other way? Feel free to grab your hat and head out the door. If, on the other hand, you intend to keep your fillets intact, do read on. This is where things start to get interesting (and, admittedly, kind of confusing). First off, there was limited consensus in our group as to what constitutes a great anchovy. Me? I look for a fillet that's been, well, properly filleted, meaning not too many of those pesky little bones. Saltiness is inevitable, but if an anchovy has been excessively cured, it loses its meatiness and develops a metallic saltiness and grainy texture. And when it comes to flavor, I look for a clean brininess that walks the line of fishy territory, without taking the plunge into what one taster described as, "The bottom of a chum bucket." Well, it turns out that not everyone agrees. Like me, some preferred firm, meaty anchovies; others wanted something with a pronounced fishiness or a texture more likely to dissolve on the tongue. A number had never eaten anchovies on their own before, and all felt overwhelmed by the saltiness of the experience. It's worth noting that we had two significant outliers in the group; had their results been eliminated, the top three products would have been even more distinguished from the rest of the pack, while the remaining scores would've remained roughly the same. What we can conclude is that the storage vessel didn't have a conclusive impact on quality—our winner and our clear loser were both stored in jars. Perhaps most interestingly, tasters did notice a significant distinction between the canned and jarred versions within a given brand. And while Ortiz, our winner, rings in at the highest cost per ounce ($4.75/oz. on Amazon), down the rest of the line, there are plenty of solid options to be had for significantly less. Note: Prices reflect supermarket purchases in New York City and are not a standard cost issued by the manufacturer or distributor. Depending on volume and bulk orders, pricing varies drastically. 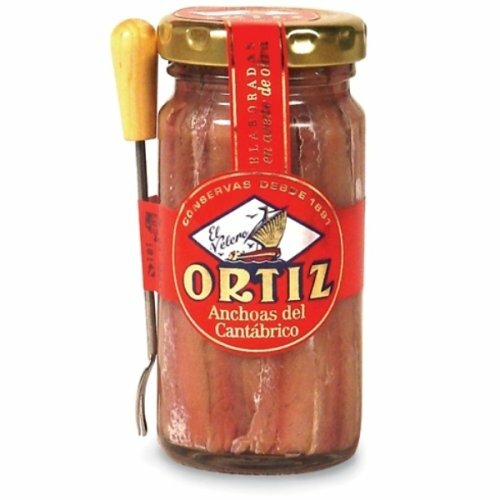 Ortiz is certainly the most gourmet brand that we tried—every other sample cost us less than $2.00 per ounce. What sets it apart? Tasters applauded its "smooth texture," describing it as "tender and meaty." A number noted its relatively mild, clean flavor, a certain "pleasant sweetness" and "cheesy Parmesan flavor." Merro sells for a mere $1.26 an ounce—a pretty huge drop from Ortiz, especially considering how close they were in the final scores. Again, it was a mild flavor and tenderness that was most appreciated. Some actually complained that it was too mild, and one even "wished it was slightly more fishy." All in all, it's a product we'd happily buy and eat whole any day. A few tasters were turned off by the salinity level in the Agostino Recca can ($1.65/oz. ), though most praised the large size and remarkable tenderness of the fish. "Very firm, meaty like good canned tuna" seemed to be the consensus. Well, that and, "Wow, this is salty!" Roland ($1.46/oz.) seemed to slip into the higher ranks primarily due to its blandness. A few noted that it tasted over-cured or dry, but all found it "inoffensive." If it's your only option, it's not a bad one, but we think there are better choices if you're into eating your anchovies plain. From here on out, the mean and median scores look significantly different, and tasters were extremely split—in fact, the Agostino Recca Jar ($1.76/oz.) garnered some of the highest and lowest scores doled out during the taste test. Interestingly, comments from disagreeing parties noted similar traits—those traits were just valued differently. For a "nice clean flavor" and "slight chalkiness," Agostino Recca is the way to go. Once again, our tasters were split. One disgruntled participant wrote, "Very prickly bones, plasticky texture. Classic canned flavor." Another took the opposite stance, exclaiming, "Very smooth tasting. I could eat this plain; not too salty." What's clear is that the Roland can ($1.25/oz.) doesn't have a very full-bodied anchovy flavor or a meaty texture—it was more likely to dissolve on your tongue than hold its own. Folks were not fond of Crown Prince ($1.15/oz. ), deriding it as "ridiculously firm," with a "cardboardy, pulpy texture." As for flavor, saltiness took the lead, with very little fishiness coming through. No question here, Cento ($1.29/oz.) is not the way to go. In fact, it's the only product that was even recognizably distinct in the prepared samples. Kenji this anonymous taster probably says it best: "Holy sh*t, it's fishy! Like a chum bucket. No. And bony, too. Even in dressing and sauce, majorly fishy aftertaste." Or, put more succinctly, "Mealy. Ugh." Nearly every taster noted a certain mealiness and funkiness to the Crown Prince anchovies ($1.86/oz). Some commented that it had the texture of an overcooked fish, while others thought the flavor was "almost funky" and "overwhelming." Polar ($1.15/oz) evoked some deep and profound reflection from some tasters. "Deep, heavy-tasting. Not sure if that's a good thing?," asked one. Another wrote, ""Dissolves on the tongue. Can't decide if I like that or not." Others were adamantly anti-Polar, calling it "chemically" and "gritty, like undissolved salt." Chances are these little fish spent too much time curing. The hands-down loser, Bellino ($1.41/oz.) seemed to have a quality control problem at hand. Commenters all noted that the product tasted off, wafting an odor that was "stinky and a little ripe." The flavor and texture weren't much of an improvement, described as "thin, fishy, too soft" and even "a little wimpy."